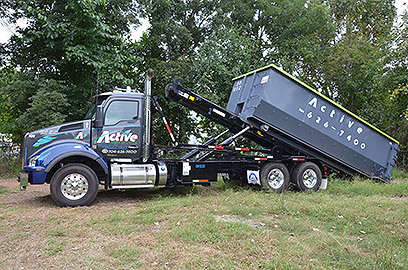 Why Choose Active Waste for Your Roll-Off or Dumpster Rental? 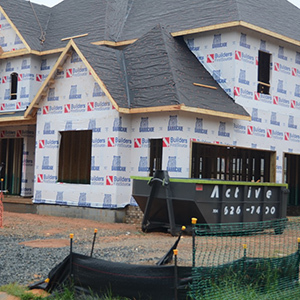 Whether you have a home renovation, junk, bulk, clean up, or a project as big as a construction site, trust Active Waste Solutions to provide the right size container for your needs — and we can provide service within 24 hours! You can be confident in choosing Active Waste Solutions. Wide range of affordable roll-off containers. Sizes range from 10 yards to 40 yards. Fast, reliable service. Have your container on site within a day! 10 Yard 12 ft 93" 47"
15 Yard 14 ft 93" 59"
20 Yard 16 ft 93" 64"
20 Yard 22 ft 93" 53"
30 Yard 22 ft 93" 71"
40 Yard 22 ft 93" 95"
Not sure what size container you need? Don’t see a size you need? Let the experts at Active Waste Solutions help you choose or find the dumpster or roll-off container that’s right for you. Who Rents Dumpsters and Roll-Offs from Active Waste?